The single diagonal stra provides great support and keeps the shoe securely on your foot. One of our most popular style for competitors. 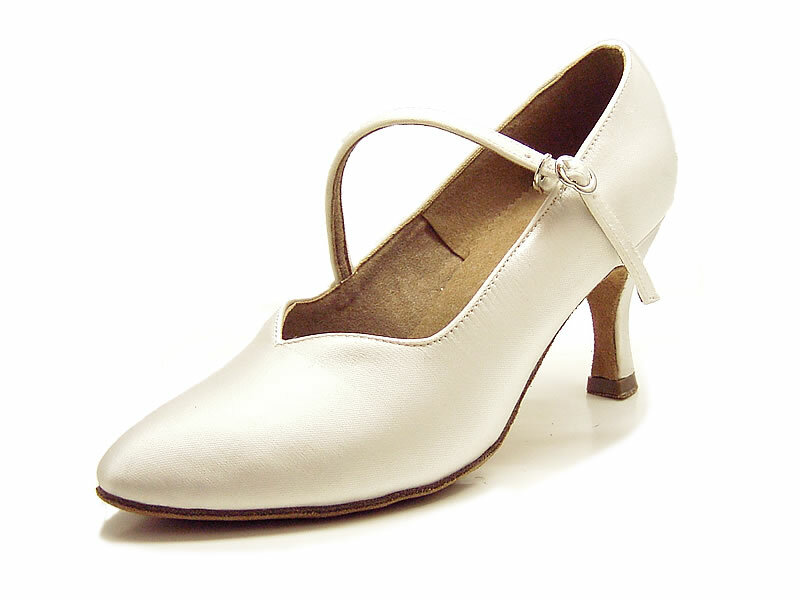 Picture shows 3"sf heel with white satin(D5).